The tragic existence of my car named Bella continues… my neighbour backed out of the driveway and into my poor car who now is in need of a new fender and possibly a new door. Tragic I tell you, tragic. Categories: Hilarity | Tags: Bella | Permalink. In typical “bring Kate’s life” turn of events, my wallet has been returned to me withalmost everything in it. It was only missing my visa and cheque book and the loonie I keep in there for a rainy day when I think Americanos will finally cost less than a dollar. I would just like to point out that when my car was stolen and then returned that this was the most annoying: why go through the adventure and heart attack factor of the theft and chase only to have it returned almost completely intact? I don’t get it? Mom, Luke, my imaginary friend(s), and my coworkers seem to believe it so that I have stories to tell. I like to believe that blessings in my life flow in abundance… even if they are as annoying as this, it’s still nice. And funny. And a nuisance. And a subject for a blog post. Living vicariously through my own life is not giving me much clarity. Categories: Adventures | Tags: Bella, Excitement, LH | Permalink. My wallet got stolen on Wednesday — somebody broke into my car and took it. I finally cracked down and decided to fix Bella, my blue little fireball of a car. (This is the same car that was broken into and the stereo stolen and the same car that was stolen herself). I’ve known for quite sometime that the CV axel and bushings (whatever those are) at the front end needed to be replaced, this knowledge heightened when the problem wore out my tires and left me stranded in Williams Lake with two flats when I was travelling home from Smithers. So on Monday I brought my car in and on Wednesday my coworker brought me to pick it up after work. I made a deal with myself that if it cost under $650, I would go to Staples and buy an external hard drive for my computer. The work cost me $640. 43 so to Staples I went. I had called ahead of time from work so all I had to do was go to the counter and pay. I arrived at Staples at 4:58 pm. It was pouring rain so I just grabbed my debit card out of my wallet, shoved my wallet under my gym bag, and ran into the store. (Sidenote: I don’t need the ‘don’t leave anything in your car’ lecture — you’re not allowed, see previous thefts #1 and #2… this is the first time since that I’ve left anything in Bella). When I left the store, the manager was walking in and said “Do you own a Honda Civic?” and I yelled “WHAAAAAT” thinking the little expensive disaster just got stolen AGAIN. No. “I saw the whole thing!” – Some lady. “WHY DIDN’T YOU YELL!!! !” – Hysteric me. “Well, I DIDN’T KNOW!” – Said lady. “I am sorry.” – Me. Still hysterical. “HE WAS WEARING A BLACK HAT AND BLUE SWEATER AND CARRYING A BAG! And he ran over there by the TD!” – Lady. “OK. Have a nice afternoon, THANKS” – Me. “I don’t have your wallet! Ha Ha Ha.” and he kept walking/running up to the crosswalk. So what do I do? Obviously. I parked, kept my mom on the line, and ran after him. That’s right, it was all of my CSI dreams come true until I had a fleeting moment where I realized I didn’t know what to do if he pulled a gun on me. I’d deal with that later and kept running. When I caught him, he was angry and said “Look, I don’t have your wallet” and pulled out his own from his back pocket. So I asked if I could look in his bag. He threw it on the ground and let me. It was filled with pop cans and bottles. My heart broke, I apologized and said he fit the description and I didn’t mean to invade his space and to have a really nice afternoon. Anyways, I am still convinced he had it but whatever. I went home, and mom had cancelled my Visa. If you can believe it: I left Staples at 5:04 pm. Mom had my visa cancelled at 5:13 pm. The guy tried to charge something to it at 5:18 pm. So in the matter of 14 mins (more accurately, 19 minutes from the time I arrived at Staples), I bought a hard drive, my car was broken into, my wallet stolen, I chased down a criminal (twice), my mom dealt with my bank, and I failed miserably. That was the longest 14 minutes of my life. But look how FAST things like this happen. So the rest of the hour I was on the phone with my bank because not only was my Visa in there but my cheque book so I had to cancel my bank accounts as well! Then, because my S.I.N. card was in there I had to call the Credit Bureau(s) to flag my credit in case of fraud, and talk to the RCMP… who, sidenote #3, strongly encouraged me to buy a different vehicle given my history with her in such a short period of time! The nice B.I.D. (blessing in disguise) to this adventure is that an hour or so after my life was flashing before my eyes, a gal from a local pub phoned to tell me she found my license underneath her car. So mom and I went to pick it up and did some dumpster diving/scouring back there before I went and met the RCMP officer in the parking lot to talk about what happened. I am getting so tired of talking to the RCMP. And way too used to feeling violated. Thus begins the painful, annoying, expensive process of replacing everything that was in there. For example, my birth certificate was in my wallet because I just recently got a passport and didn’t take it out yet. For the love of fruit smoothies, that is so annoying. Along with my BCAA, Visa, S.I.N., UVic Student ID, etc. etc. etc… I don’t have time for this heinous nuisance. Ergo, the saga continues… maybe they’ll start letting me ride in the squad car. Categories: Adventures, Tirades | Tags: Anecdote, Bella, Excitement | Permalink. In a surprising, yet completely God-thing, change of situation, my car has been found and it is in my possession. It is torn apart on the inside, really violated…but for all things considered, it’s way better than my fear of it being burned, etc. I had my adjustment meeting this morn with ICBC and it didn’t go really, really well…a lot of it is “my word against theirs” style of scenario. I have a full service/inspection for it at the Honda dealership coming up on Tuesday. Please continue to pray for the situation, that I receive a fair and accurate amount of compensation through ICBC and that the person who stole my car (they stole my insurance papers) is either found or never returns. It’s not a very comfortable feeling, wondering if my car will ACTUALLY be there when I look out the window. Ultimately, God is good, I am extremely blessed that it is intact, and now it’s time to move onto a different conversation topic. Categories: Adventures, Rooted | Tags: Bella | Permalink. The other day I posted about my beautiful blue little Honda civic that I am growing attached to.. It was stolen on Thursday. So now I am so utterly frustrated, the last 48 hours loaded with phrases equating to “well, it’s a Honda, they are the most targeted vehicle for thieves” or “It’s your rims… they already took your cd player now they came back for your rims” or my personal favourite “You can take our civic, but you can’t take our freedom!” (Braveheart). My friend Ben got up in class and said “I would like to dedicate my presentation to Kate, who got her car stolen and we need to think about her as she will probably be taking the bus. Ouch.” Thanks, Ben. Anyways, needless to say (completely needless to say) I am really upset and drowning in a case of “why me” because literally, this blog is a catalogue of events that seem to happen to me, consistently. In my car were my $1300 figure skates, my brand new running shoes, my rollerblades, and my $400 UVic parking pass. The kind RCMP officer told me that the vehicles usually turn up in a matter of days (where exactly could they go? Off the island? Probably not) and if not, it takes 30 days to start a claim. That being said, in the next 30 days I have 5 final exams, 3 term papers, 1 reading log, and Christmas. It’s not really what I want to be dealing with? I get confused at moments like this, I feel like as I try to lead a life of joy, I really wonder at why these challenges and tests from God come at consistent intervals. 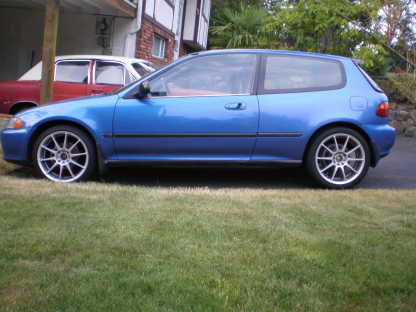 I can’t handle all of what I need to do with school on top of losing my car; my very first car. I would be blessed by your prayers. Not only that my car be returned sooner than 30 days but that I can focus and do what I need to do. And that I have faith. That I always have faith. That maybe you can understand this while I am broken and simply can’t. I know it’s just stuff, my aunt was encouraging me of that. But it’s my stuff… that I spent half my summer savings on, that I just bought brand new tires for, that they violated me and the people I live with. Categories: Rooted | Tags: Bella, Mine | Permalink. I am learning to love my car. We’ve spent a lot of time together since I got her in August. Couple with three trips from Penticton to Victoria and back and the commute to UVic, I have become quite acquainted with the little darlin’. Why in the WORLD would someone EVER buy a BRAND NEW CAR? I mean, having a used car, there are SO MANY things to learn….she’s constantly surprising me! When I first got her, she really liked to go fast but that was until we tried climbing a couple steep hills. And her tires were quite bald and aging and unaligned so that caused the steering wheel to tug at random intervals, like she was hinting at me. It’s been a lot better since I got four brand new tires, a lot less nagging at me. And then, it was almost as if she felt like I bought her for her entertainment system, so now that the cd player was stolen, things are a lot better because I really pay attention to her. I know all the weird noises she makes when I have to stop her suddenly or I am in the wrong gear… she really speaks to me. It’s almost like she’s teasing me though, sometimes… all these new things I learn from a used car. Like, just for a laugh, when I was driving her back to Victoria at Thanksgiving, Mallory and I were completely shocked when it was raining so hard and my baby’s windshield wiper wiped all the way OFF the windshield. That was weird. And ever since I got her, the windshield wiper fluid hasn’t worked… as in, it didn’t spray, until yesterday I tried it one more time and it worked. She’s a kidder, that blue bombshell, just when I thought I had her figured out it started working. A little friendship goes a long way. And it doesn’t really matter that every second car I see out there is the spitting image of her, I am really learning to love my quirky little car. Her latest trick is flashing her battery light every time I start her up or am idling… anybody else’s little machinery friends do that? What does that even mean? Mark?